We can’t wait to welcome you home to Harbin Pointe Apartments. To ensure you can find a home that perfectly suits your needs, we offer one and two bedroom Bentonville, AR, apartments for rent near Walmart. With floor plans as cozy as 660 square feet and as large at 960 square feet, you can choose the spacious, bright, and airy floor plan that works best for your lifestyle. Each home is beautifully appointed, offering you the in-home comforts and features you need to cultivate your best life. Complete with high, vaulted ceilings and refreshing air conditioning, your new apartment is a welcome retreat from the warm Southern summers. Find everything you need to live well and rest easily at Harbin Pointe Apartments. 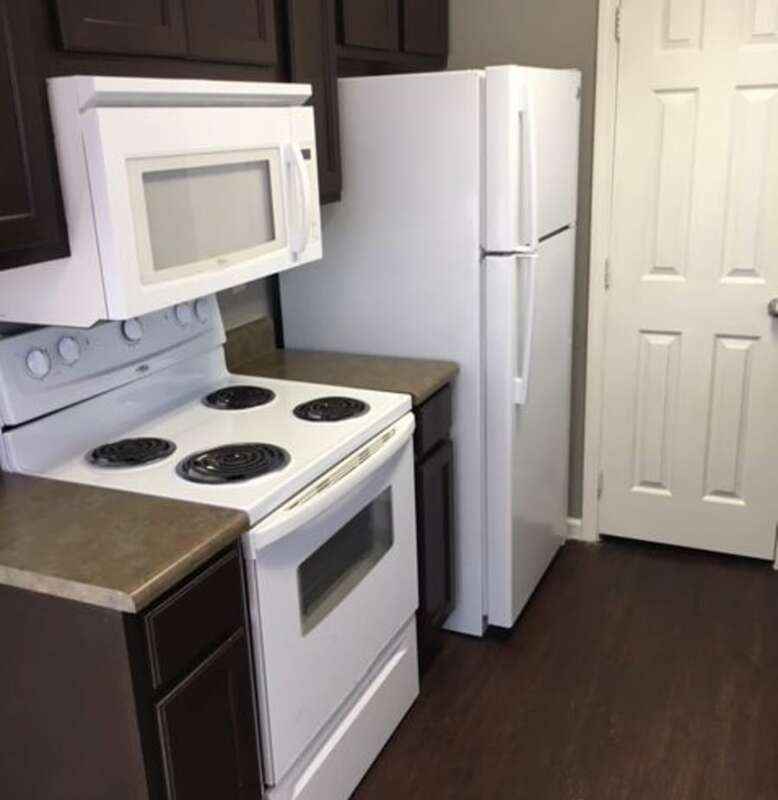 Our one and two bedroom apartments for rent in Bentonville, AR, are crafted around your unique, modern needs. Stow your wardrobe and seasonal items in your large walk-in closets. In the evenings, whip up your most delicious meals in your kitchen that comes equipped with a dishwasher and garbage disposal. The included washer and dryer make it easy to tend to your laundry and get yourself ready for the week ahead. When you want to relax, put your feet up on your private balcony or patio. Start your new life today at Harbin Pointe Apartments. We look forward to showing you around.